Beyonce.com: California Fires – BEYONCÉ ONLINE » Your best Beyoncé fansite on the net! 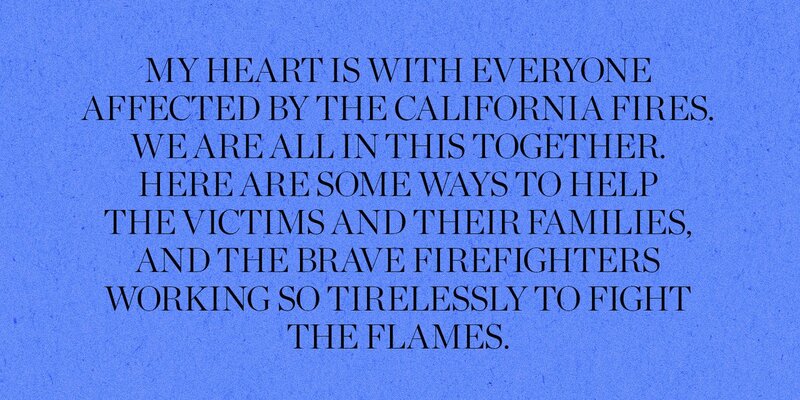 Beyonce took to her website to support the victims of the California fires. "To help with non-monetary donations, please call 211. You can also log onto www.supportlafd.org and www.calfund.org for more information on where and how to help, including monetary donations."